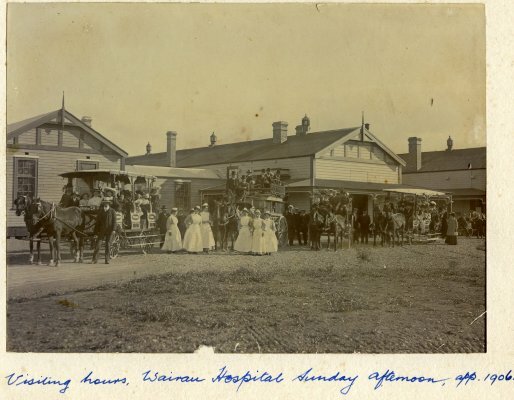 Description Visiting hours, sunday afternoon, Wairau Hospital about 1906. Shows four horse drawn coaches loaded with people outside the hospital. A group of nurses are standing in front. The name Howard Goodman is written on the back.